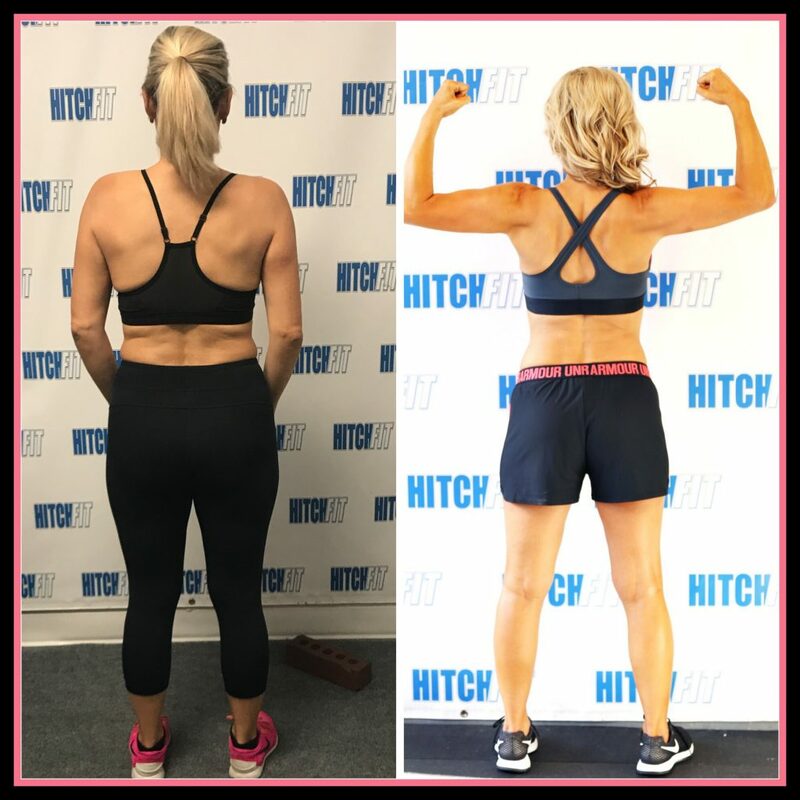 Kansas City Bride Gets in Shape at Hitch Fit! 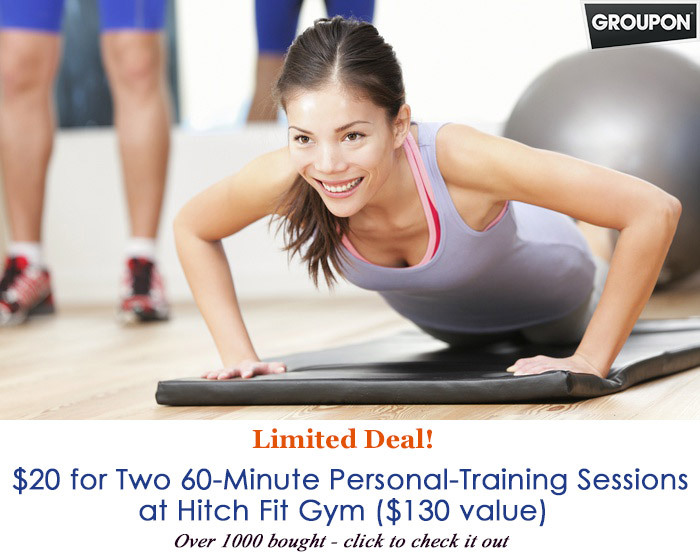 Home/Success Stories/Kansas City Bride Gets in Shape at Hitch Fit! Kansas City Bride Gets in Shape at Hitch Fit Gym! 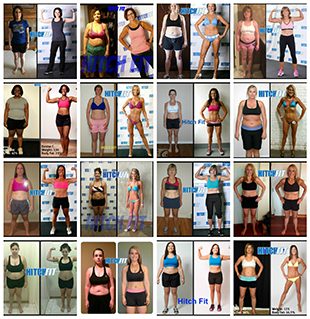 “Before reaching out to Hitch Fit I was definitely in a rut. I wasn’t happy with my current fitness level or what I saw in the mirror, but I wasn’t doing anything meaningful about it either. Sure, I went to the gym but not consistently. I tried to steer clear of high calorie food choices but my diet was by no means stellar. A good friend of mine made the observation that aside from my affinity for red wine I ate a lot like a child. I wasn’t a big meal eater but I loved my snacks like Goldfish crackers, Diet Pepsi and gummy bears. At the gym I did some cardio and maybe a few circuit machines but I did so aimlessly with no plan in mind and I felt nothing but intimidation when it came to the free weight section of my gym and chose to avoid that area entirely. So one morning, as my wedding date grew closer, it finally dawned on me that nothing was really going to change if nothing changed. I couldn’t keep the same habits and expect to look and feel differently. 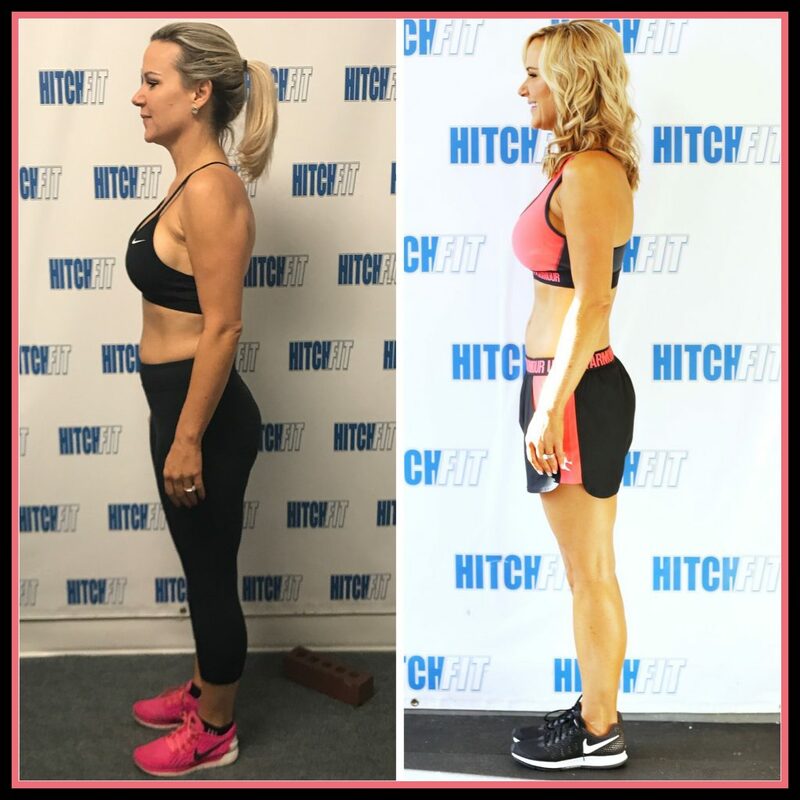 I had seen some incredibly inspiring before and after stories and photos online for Hitch Fit and I decided to schedule an appointment to learn more. I met with Nancy and immediately felt a connection with her. She was SO incredibly warm and fun. She genuinely wanted me to be successful and I had no doubt she would be dedicated to helping me get there. Her energy and excitement were contagious. 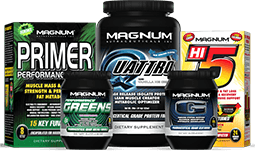 I knew that I had found the right trainer and the right program for me. I would be lying if I said it was easy. It was no cake walk (unfortunately there was zero cake involved) but I always had Nancy there to encourage me along the way. Sending me inspiring morning texts, reminding me to let go and trust the process, encouraging me by telling me how well I was doing and being beyond patient answering my many questions along the way. She was my cheerleader, my teacher and best of all a wonderful friend. My workouts with Nancy consisted of lots of sweat and lots of laughs. Each workout with her truly flew by. I also had an incredibly supportive fiancé and daughter cheering me on along the way, helping prep my meals each week, telling me how proud they were of me and how great I looked. That support system was critical and meant the world to me. I wasn’t always perfect along the way but being perfect really wasn’t what it was all about. It was about truly making my health a priority. I was amazed at how quickly my body and my mind responded. I started to love the way I felt when I ate healthy, less processed meals. I loved my workouts and seeing how much stronger I was becoming. I was gaining confidence while losing inches and felt noticeably stronger not only physically but also mentally and spiritually as well.